The Monthly Reading List is something new that I am starting. At the beginning of each month, I will write about all the books I read in the previous month. This includes all Non-Fiction and Fiction alike. Flash Boys is a book that has been sitting on my book shelf for 2 years, and I finally got around to reading it. I have been doing some contract work with a company that works with the stock market, so I figured this was the perfect time to dive in. 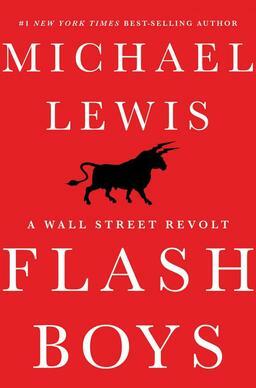 Michael Lewis tells the story of a seemingly unheard of group of traders called “Flash Traders”. These traders intercept stock market orders, and then offer them to the next buyer or seller, at a penny or two above the original offer price. Crazy enough, this isn’t illegal, and these firms are actually making billions of dollars each year trading using this strategy. Michael Lewis does his usual amazing job in telling a great story, and explaining what is happening in simple terms, without compromising the material. 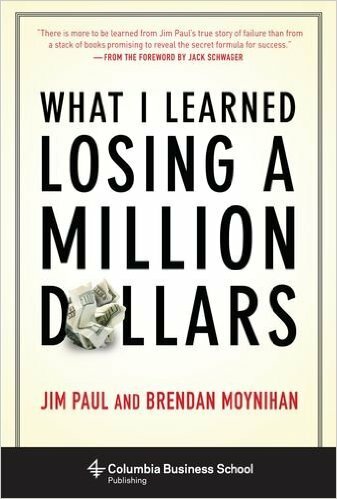 This books tells the story of several flash traders, and those trying to put a stop to them. As a programmer, there was a lot to like in this book, as it becomes clear that the programmers are now the Kings of Wall Street, not the investment bankers. 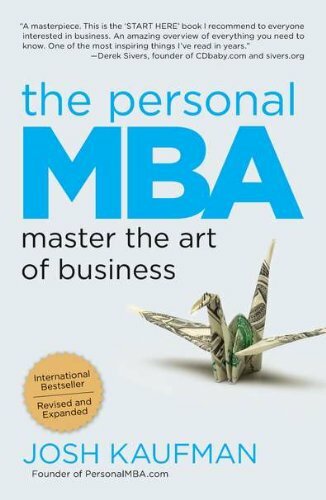 The Personal MBA is a book that I will be keeping very close to me at all times. You should not think of this book as non-fiction or business book. Instead think of this as a reference guide, one you should be continually going to. Josh Kaufman does an amazing job of bringing together huge amounts of information, in a very easy way to comprehend and understand. If you are a business owner who is looking to get more “serious” about the “business stuff”, this is the perfect book to pickup. Josh claims that this book could replace your MBA degree. I don’t believe that to necessarily be the case. I believe the target market for this book is better geared towards business owners than students wishing to get their MBA. Most business owners I know, don’t have an MBA. They hire people with MBAs. This book will help business owners and MBAs talk the same language. It can help to cut down all the “magic” that MBAs claim to do behind the scenes. If you are ever driving to the office or a client meeting, and are lacking energy, put on Grant Cardone. Anything he reads will get you way more energized. He is actually better than coffee! I don’t always agree with Mr Cardone, or his sales techniques, but one thing is guaranteed. The man knows how to sell! Grant Cardone can sell himself, his business, products he develops, just about anything. While he might come across a little strong, dig beneath all the fluff, and you will see a man who is a genuine professional. He cares about what he sells, and cares about his clients. He solves problems when given objections, instead of creating excuses. 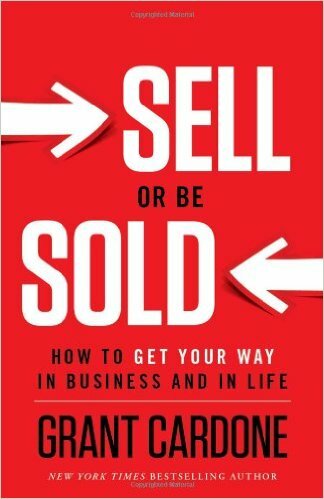 Sell or Be Sold is a continuation on his series of books about selling. He makes the case (and a good case at that), that we are all sales persons. We are always selling, wether it’s to a client, to our spouses to convince them to marry us, or even our kids, while we try to “sell” them on bedtime.. I agree with Mr Cardone; we are all selling or are being sold. Their is a funny thing about being a genius. When you are doing the stuff that later defines your genius, people think your are either crazy or an idiot. Jeff Bezos clearly fits into this trend. While he was building Amazon, he knew that e-commerce was going to change the world. He also knew Amazon was the best platform on the market by far. Everyone else said he was out of his mind, or “oblivious to the realties of the market”. You really get a chance to walk through the journey of Amazon in this book. Like most businesses, there is no overnight success, or the “ah ha” moment. Amazon was build by a lot of people, with a lot of hard work and determination. These stories help me keep going when things in my own business feel like we are always going uphill. 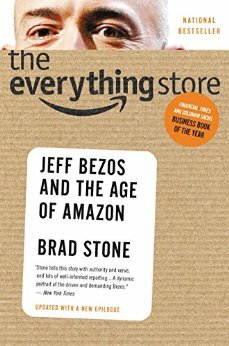 Brad Stone has clearly done a lot of research into the history of Amazon. We get some really great behind the scenes stories about the giant retailer. We also learn about the transformation that Amazon had a few years ago. They stopped thinking of themselves as a retailer, and starting thinking of themselves as a technology company. If Flash Boys was the new way of traders, than this book is a throwback to the old school class. We are transported back in time, when traders wore special vests, stood in pits at the Chicago Mercantile Exchange to make their trades and try to make their fortune. The title of this book really tells the story. As we are learning about Jim Paul’s rise to be one of the best traders on the Chicago Exchange Board, we already know how the story is going to end. What really stuck with me about this book, is how this loss happened, and how countless others continue to happen to people. The big takeaway for me was, success is not about how your handle your wins, but how you handle your losses. You are going to be wrong a lot, so better have a plan on how to handle when you’re wrong. After nearly two decades of his writing hiatus, Tony is back with a new book. If you haven’t read Tony’s previous books, do yourself a favour, and go buy Unlimited Power and Awaken the Giant Within. Those two books are the building blocks of the entire self-help category. 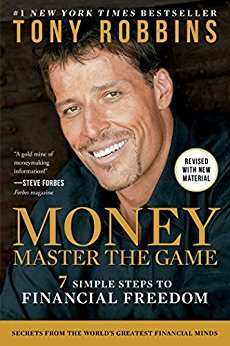 Tony’s newest book is all about getting your financial life in order. He assumes you were smart enough to go purchase his other books, and your life is in your control. Now he is setting out to help you control your finances. Warning here, this is not a light read. It’s a very long book, pact with some technical information. What I really loved about this book, is it wasn’t the standard advice. He didn’t just say “Put your money in an index fund, automate the deposits, and don’t touch it for 30+ years”. Tony really dives into some unknown concepts, like Structured Notes, where you give up a little of the upside, to guarantee your entire principal. In other words, growth with no risk! The entire Financial section at your local book store is a giant resource of the same advice, merely spun a different way. It’s amazing to see Tony take another path, and really focus on the alternative methods of investing.